If you have an area of sidewalk, driveway, or even a patio or garage floor that is cracked, sunken or even broken, you may assume that replacing it is your only option. Before you make the decision to replace the affected area of concrete, you should consider the option of concrete leveling. Instead of replacing the entire area of concrete, concrete leveling can repair just the damaged area for a fraction of the cost. Detroit Concrete Leveling specializes in residential, commercial and industrial concrete leveling, a great alternative to replacing a damaged concrete slab. We offer high quality concrete leveling that leaves an area looking just like new. The concrete leveling process uses a limestone solution to fill in the recesses in broken or cracked concrete from underneath. 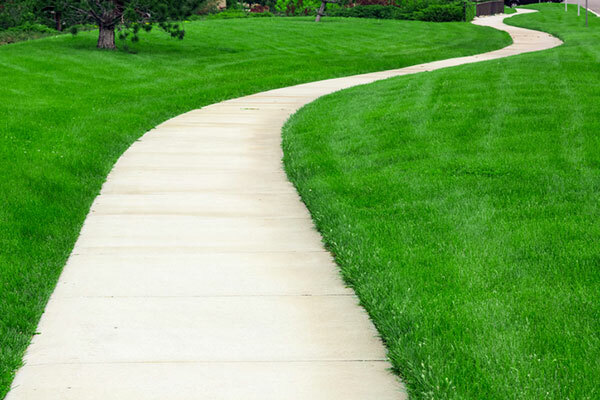 We use state of the art equipment and leveling techniques that ensure that your driveway, sidewalk or patio is properly restored. Concrete leveling is affordable – at just ⅓ of the cost of replacing a concrete slab. In addition, it is environmentally friendly, does not make a big mess on your property, and can be completed in just a few short hours. And, you do not have to worry that your new concrete will match your old – concrete leveling gives you better curb appeal and can even increase the value of your home. It is very common for driveways, sidewalks, patios, and garage floors to settle over time in the dirt and sand, especially in our area. Our weather shifts including wet weather, cold weather and extreme dry periods during the summer can cause cracking and uneven settlement on the concrete above. In addition to being an eyesore and even unwelcoming, concrete settling can also cause trip hazards, which can be a real issue for business owners or if you have frequent house guests. Detroit Concrete Leveling has more than four decades of experience completing concrete leveling for businesses and homes in the Detroit Metro area. We are a family owned business and value each and every one of our customers, and work to ensure their satisfaction. In fact, much of our business is based on customer referrals, so we work to provide high quality craftsmanship and the best customer service in the area. Before you decide to replace an area of concrete that is broken, cracked or sunken, call the team at Detroit Concrete Leveling at 866-472-9033 for more information.